Apple's new 9-pin iOS device connector, dubbed Lightning, is 80 percent smaller than its predecessor, is all-digital, and can be plugged in either way. 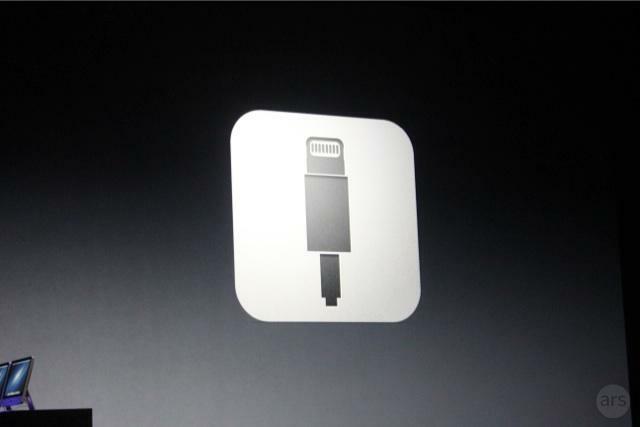 The new dock connector helped allow Apple to make the new iPhone 5 the thinnest smartphone on the market. The Lightning connection will be quickly supported by a number of third-party accessory makers highlighted by Apple marketing chief Phil Schiller, including Bose, JBL, and B&W. 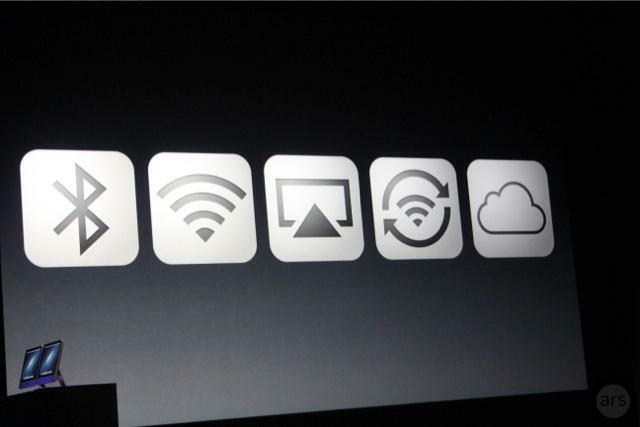 Schiller also promised "a bunch of accessories" that will allow users to utilize their legacy accessories that rely on the nearly 10-year-old 30-pin dock connector. 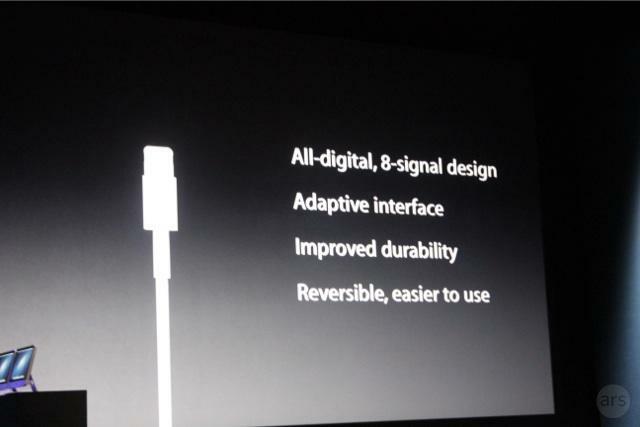 Schiller noted that the Lightning moniker matches up with the existing Thunderbolt branding. However, speed and pricing of the new cables was not mentioned, as Apple highlighted that many functions, including syncing, video output and updating, can now be accomplished wirelessly using Wi-Fi, Bluetooth or mobile connections.